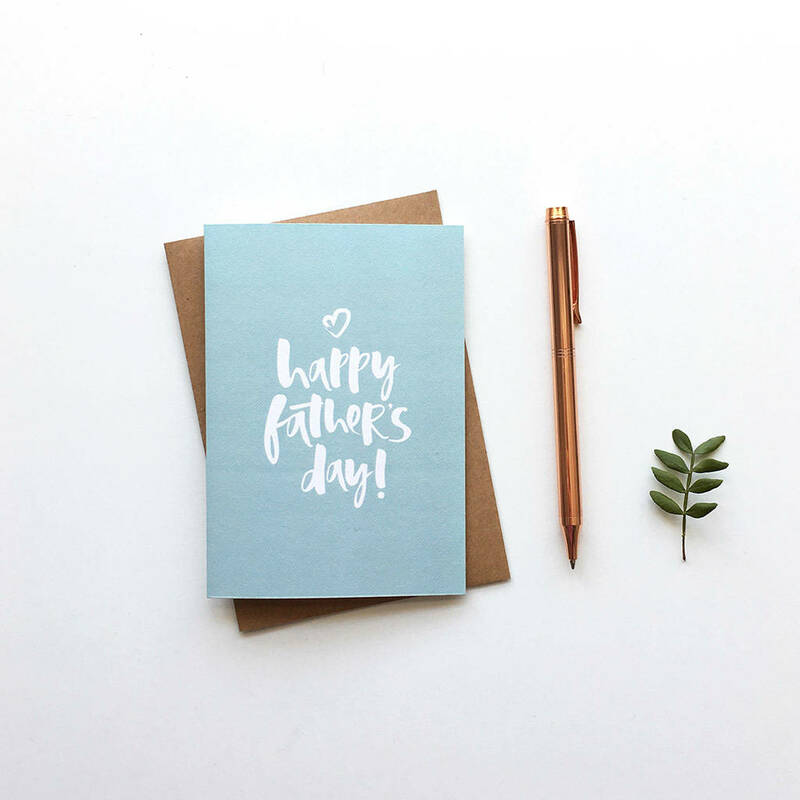 A beautifully hand lettered Father's Day card with a masculine touch. 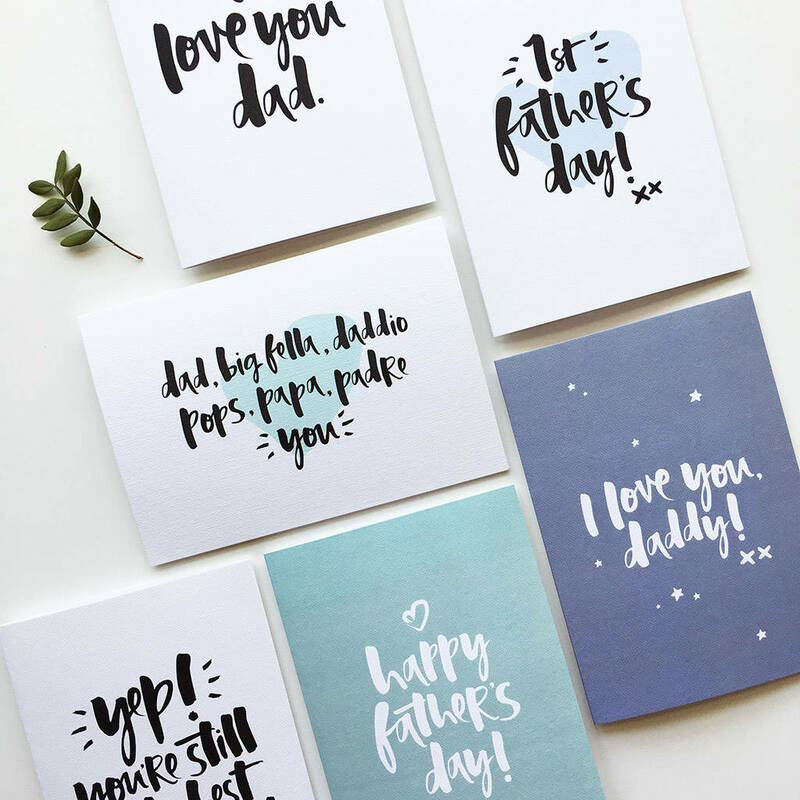 Our luxurious, hand lettered 'Happy Father's Day' card is made with a whole heap of love especially for Dad. 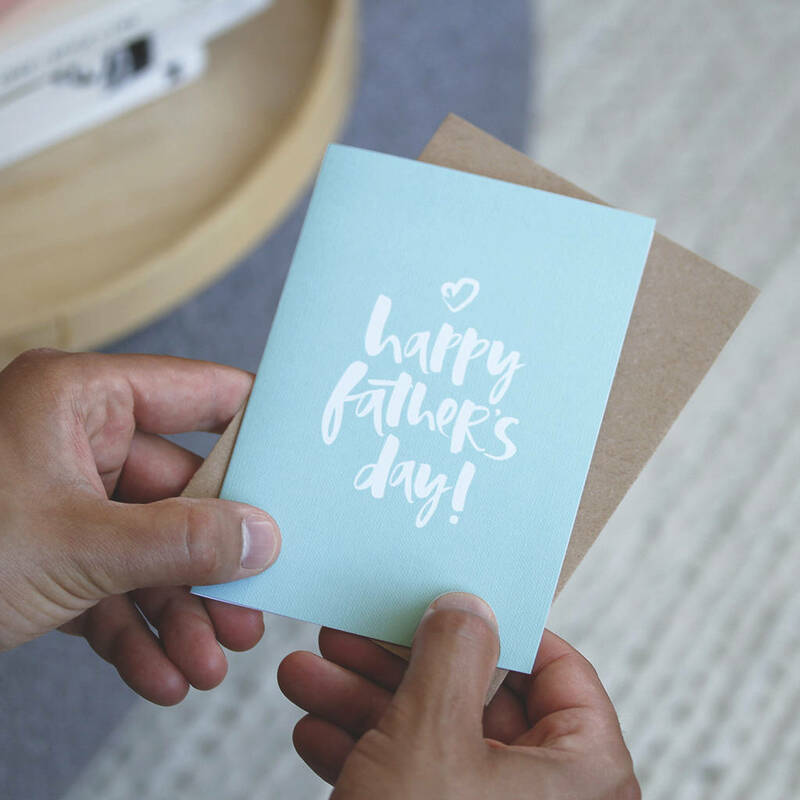 Show your love and appreciation with this soft green, eco-friendly Father's Day card. 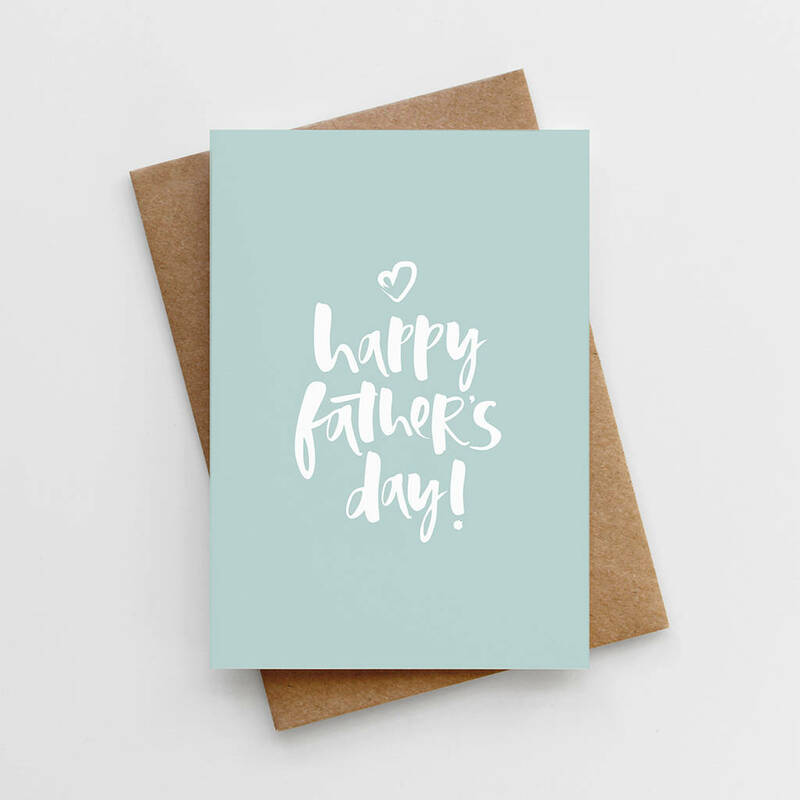 'Happy Father's Day' Father's Day Card is 10.5 x 14.8cm (A6) and comes with a 11.4 x 16.2cm (C6) envelope.